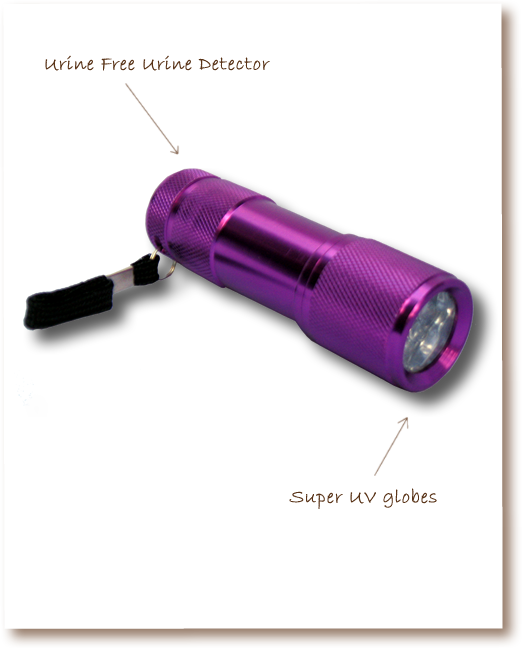 Easily locates those hard to find urine deposits using ultraviolet light. Great for UTI cats! To properly clean these areas you need to use a bio enzyme cleaner that will eliminate all odors and residue. Locate the deposits using this UV detector, then we recommend that you clean using Urine Free All-In-One Urine and Stain Remover. If your cat has a urinary tract infection you may find that she urinates inappropriately due to the pain she experiences and associates with the litter tray. To properly clean these areas you need to use a bio-enzyme cleaner that will eliminate all odors and residue. 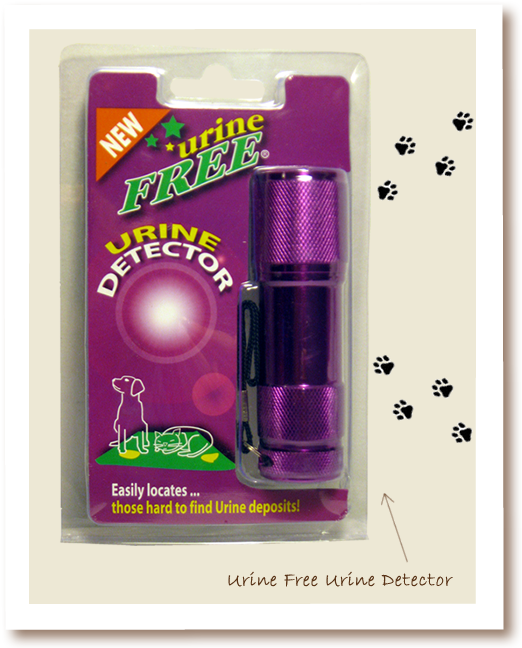 Be a cat detective and locate the deposits using this UV detector. We then recommend that you clean the area using urineFREE All-In-One Urine and Stain Remover . For more on urinary tract infection in cats, read our article, Feline Urinary Tract Infection.